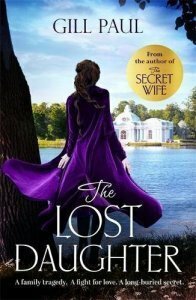 Today, I take part in a blog tour for the epic novel The Lost Daughter by Gill Paul. What an incredible book that I feel so lucky to have read. Let me share the blurb then I’ll give you my thoughts. 1918 With the country they once ruled turned against them, the future of Russia’s imperial family hangs in the balance. When middle daughter Maria Romanova captivates two of the guards, it will lead to a fateful choice between right and wrong. Fifty-five years later . . . Val rushes to her father’s side when she hears of his troubling end-of-life confession: ‘I didn’t want to kill her.’ As she unravels the secrets behind her mother’s disappearance when she was twelve years old, she finds herself caught up in one of the world’s greatest mysteries. Wowsers!! I was totally immersed in both the dual timelines of this book, so much so that when I finished reading it, I felt totally bereft! And I don’t mind admitting that there was a tear or two! Maria and Peter were two of my most favourite characters I’ve ever read. Such incredible characters experiencing such love, loss and trauma and who showed such courage and bravery during their lifetimes. Val in the other story, was also an intriguing character and I loved how the two stories intertwined coming full circle. I had no idea how it was going to happen but it was perfectly blended. I didn’t actually realise until I read one of the other blogger’s reviews on this blog tour, that Gill’s last book THE SECRET WIFE, centres on one of the other Romanov sisters and I’m now desperate to read this. There are lots of references to Tatiana in this story and I can’t wait to find out more. I loved reading about the history of Russia and learning what the people had to go through. Such awful times and it made me feel extremely lucky to have led the life that I have led. I do remember when the book arrived, and I did gulp and think that it was quite a big book but I flew through it, totally compelled to turn those pages. This was a magnificent, emotional story which spanned decades and continents, which I feel totally honoured to have read. So evocative and compelling that from the very first page, you become part of the scenery and the world around you ceases to exist. A must read for fans of stunning historical fiction. I didn’t actually realise until I read one of the other blogger’s reviews on this blog tour, that Gill’s last book THE SECRET WIFE, centres on one of the other Romanov sisters and I’m now desperate to read this. Gill Paul is an author of historical fiction, specialising in relatively recent history. Her new novel, Another Woman’s Husband, is about links you might not have been aware of between Wallis, Duchess of Windsor, and Diana, Princess of Wales. Gill’s other novels include The Secret Wife, published in 2016, about the romance between cavalry officer Dmitri Malama and Grand Duchess Tatiana, the second daughter of Russia’s last tsar, who first met in 1914. Women and Children First is about a young steward who works on the Titanic. The Affair was set in Rome in 1961–62 as Elizabeth Taylor and Richard Burton fell in love while making Cleopatra. And No Place for a Lady is about two Victorian sisters who travel out to the Crimean War of 1854–56 and face challenges beyond anything they could have imagined. Gill was born in Glasgow and grew up there, apart from an eventful year at school in the US when she was ten. She studied Medicine at Glasgow University, then English Literature and History (she was a student for a long time), before moving to London to work in publishing. 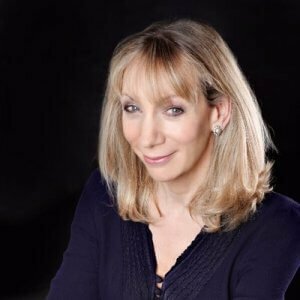 She started her own company producing books for publishers, along the way editing such luminaries as Griff Rhys Jones, John Suchet, John Julius Norwich, Ray Mears and Eartha Kitt. She also writes on health, nutrition and relationships. Gill swims year-round in an open-air pond – “It’s good for you so long as it doesn’t kill you”– and is a devotee of Pilates. She also particularly enjoys travelling on what she calls “research trips” and attempting to match-make for friends. 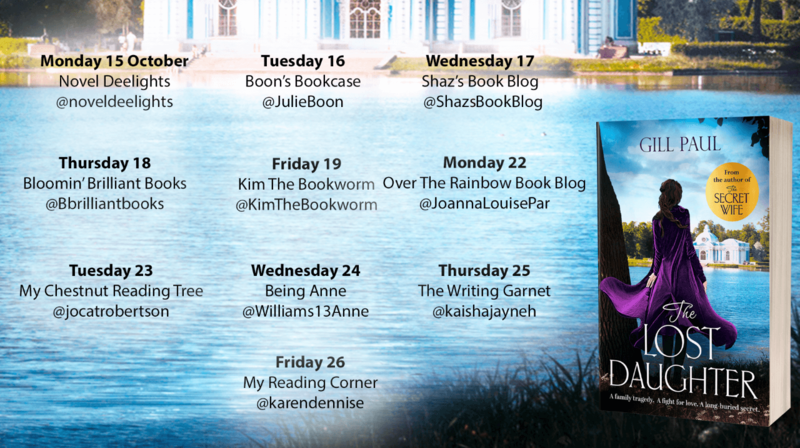 There are a number of other bloggers on the blog tour for this outstanding book, so don’t just take my word for it! Pop on over to their blogs too.